Serena Williams has spoken in support of the United States women's football team over a reported legal battle for equal pay with the men's side. On International Women's Day, it was reported that the USWNT had filed a discrimination lawsuit against the United States Soccer Federation relating to equal pay and working conditions. Also on Friday, Adidas announced the winning team at the Women's World Cup in France this year will receive the same bonus as their male counterparts, promoting the motto: "Equal pay for equal play". Tennis star Williams described it as "ludicrous" that there should be a pay discrepancy between the US women's team - who have been crowned world champions three times, most recently four years ago in Canada - and the men's side. 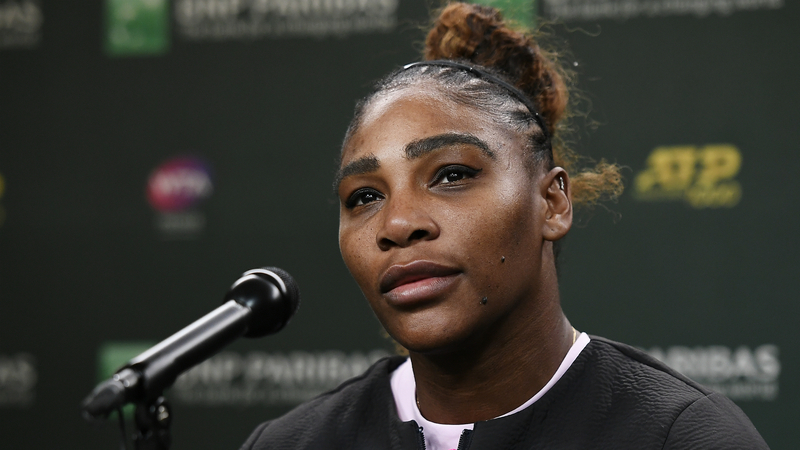 The 37-year-old compared the reported complaint to the campaign by female tennis stars in the 1970s, including Billie Jean King, who successfully lobbied for the US Open to become the first major to offer equal prize money to men and women in 1973. "I don't follow soccer as much," she told reporters in Indian Wells. "I do know that the pay discrepancy is ludicrous. It's a battle, it's a fight. "You know, we've had some incredible pioneers in our sport that stood up in the 70s and said, with this dollar, there were 13 women who said 'we're gonna get paid what the men [are] paid'. And they stood up way back then. "I think at some point in every sport you have to have those pioneers and maybe it's the time for soccer. I'm playing because someone else stood up and so what they're doing right now is hopefully for the future of women's soccer."